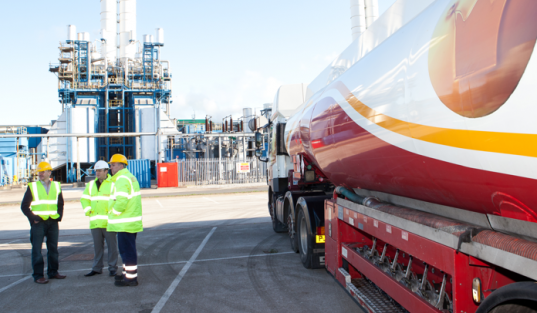 As leading red diesel suppliers in Manchester, Crown Oil has the ability to arrange a gas oil delivery to any required location in Manchester and across the nation. Our reliable fuel deliveries and competitive red diesel prices have built trust among our customers in the Manchester area. Our gas oil customers range from large blue chip companies to factories, manufacturing units, farmers, universities, small independent companies and schools. We deliver red diesel to the public and private sector on a nationwide basis. Our oil depots are spread across the country guaranteeing a national coverage – perfect for companies with multiple locations. Call Crown Oil today on 0845 313 0845 to buy your red diesel! Red diesel has multiple uses, especially in a busy metropolitan region like Manchester. Gas oil fuel is used for home heating fuel, generator fuel, and to power off-road machines for industries such as construction, mining and agricultural, to name a few. The cost of red diesel fuel is much lower than regular diesel fuel. Regular diesel fuel is higher in sulfur content and used in vehicles travelling and transporting goods on public roads. Red diesel isn’t taxed in the same way due to the nature of its use and works out to be cheaper because it is a rebated fuel. While red diesel has multiple uses, it is illegal to use for travelling or transporting goods on public roads. Red diesel is not recommended for regular road going vehicles and the red marker dye which gives it its name will allow the authorities to catch you if you’re using it. Gas oil (red diesel) suppliers must ensure customers purchase and use red diesel in the manner it was intended. In Manchester, you have a choice when purchasing your fuel. Consumers should seek a reputable and responsible red diesel supplier, check for delivery costs, availability and lead time needed for delivery. If you are still unsure then ask for references. If the supplier is reputable and wants to be around for a while, there should be an abundance of satisfied customers. Some fuel suppliers will help establish a fuel management program that suits your needs. The company will track use, delivery and storage capacity to establish a delivery schedule to match your needs. Check with the red diesel suppliers to find companies that will provide this service free of charge. Good customer service can be the difference between having heat or power and not having them when unexpected events unfold.